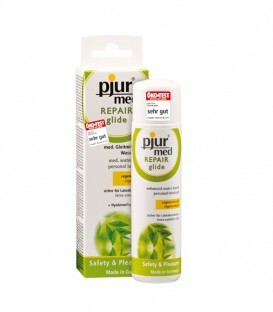 Pjur Med After Shave spray is a calming and gentle after-shave spray designed to reduce inflamations and small spots due to daily shaving. Calming and moisturising your skin, this after shave spray contains Provitamin B5 and Aloe Vera, which helps calm and soothe irritated skin. 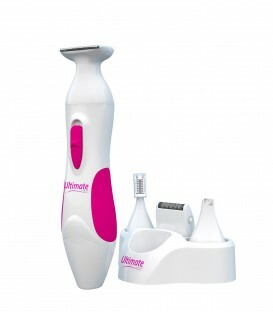 Simply spray on this intimate area after shaving and allow it to be absorbed into the skin. With it's relaxing and moisturising effect, this spray not only reduces irritation, but also leaves your skin feeling silky smooth and moisturised. Ingredients: Aqua (Water), Aloe Barbadensis Leaf Juice Powder, Panthenol, Butylene Glycol, Phenoxyethanol, Propylene Glycol, Bis-PEG/PPG-14/14 Dimethicone, Cocamidopropyl Betaine, Dimethicone.